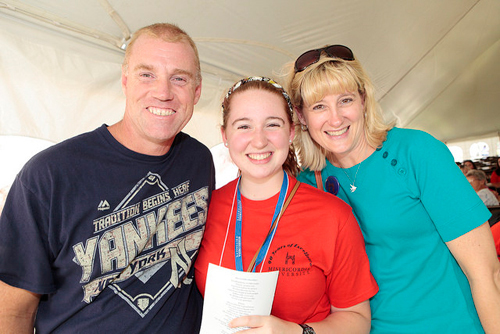 As a parent, you play an important role in your child’s college search and decision process. At Misericordia University, you can be confident that your child will be entering a welcoming campus community where they will be challenged academically and prepared to serve as leaders in their industry and community. Misericordia University offers several dormitories, townhomes, and off-campus housing. Townhomes and off-campus housing are typically reserved for upper classmen. First year students, unless they are commuters, are not permitted to bring their vehicle to campus. Public transportation is available with a college shuttle that has regularly scheduled visits to shopping centers and attractions throughout the surrounding community. Find information about our Health and Wellness Center, including hours of operation, services provided, eligibility for services, and information about required health documents for incoming students. In addition to the John and Mary Metz Dining Hall, there are three additional locations throughout campus for students to grab a quick bite or a beverage. All locations offer a variety of dietary options—from low fat to vegetarian, gluten free and vegan. If your student has specific dietary needs or food sensitivities, the dining services staff will work with them on an individual basis to ensure their needs are met. Student safety is our top priority. Our Safety Office is committed to ensuring a safe learning environment for students, faculty, staff, and guests of the University by providing high quality service with excellent standards of personal integrity and ethics. The University’s Safety Office is staffed 24 hours a day and 7 days a week. Whether it’s help with choosing a major, using the appropriate style and citations for a paper, or developing study habits, the Student Success Center is there to provide the support your student needs to excel academically. The Office for Students with Disabilities provides services for students seeking academic adjustments and auxiliary aids under Section 504 of the Rehabilitation Act of 1973. The Office also hosts the fee-based Alternative Learner’s Project (ALP), which provides services that extend beyond the accommodations referred to under Section 504. A member of the counseling staff is on-call and available 24 hours a day for emergency services. Appointments can also be made through the CAPS Center for individual counseling. The Insalaco Career Center hosts Misericordia’s Guaranteed Placement Program (GPP), a supplemental career development program that offers career-focused workshops and service leadership programs to prepare students for entering the workforce or continuing their education in graduate school.